To be - or not to be: a "Zen Buddhist Priest"? 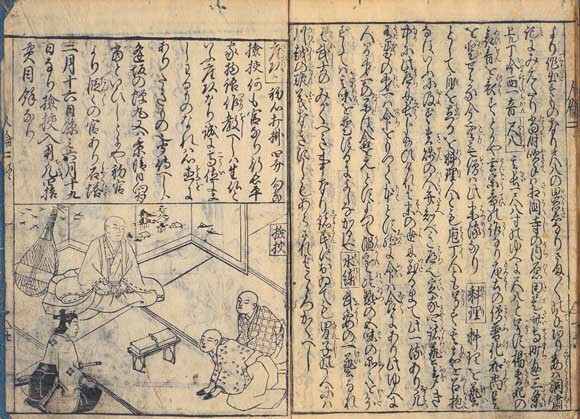 ERA of the KOMOSŌ - The "Mat Monks"
c. 1550 to c. 1628? "Monks of the Non-Dual & None-ness"
in the Province of Tosa on the Island of Shikoku? in Nagasaki on the Island of Kyūshū? the "Three Non-Dual Spirit Music Pieces"
'Fuke-shū ni tsuite', "About the Fuke Sect"
Tomimori Kyozan, Ikeda Jūzan a.o. 1950: "The Myōan Temple of the True Fuke Sect"
'Gyō no ongaku': "Music of Asceticism"
The "Traditionalists" and the "Truth Tellers"
Myōan-ji is located south of the Rengeō-in, 蓮華王院, "Hall of the Lotus King" [the Sanjūsangen-dō], and it is a Zen temple." "In the recent past there was a strange monk called Roan. Nobody knows where he comes from. 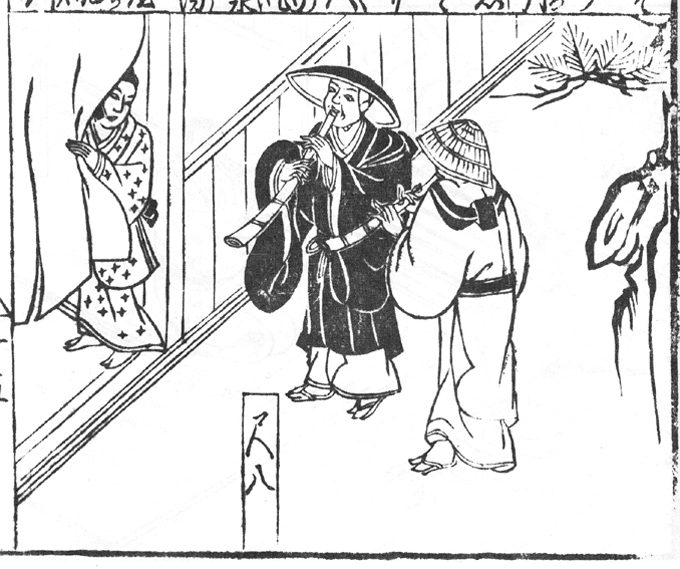 At his time he was very close to master Ikkyū of the Daitoku-ji, Ryūgoku-zan 龍寶山. 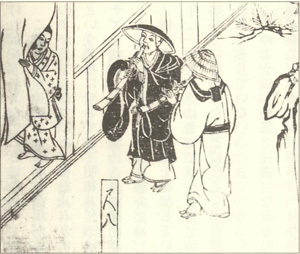 He had a predilection for the practice of the wind-holes (that is: flutes) and he loved to blow the shakuhachi. He called himself 'the ascetic wind-hole' (fūketsu-dōsha 風穴道者). Originally he lived in the district of Uji 宇治 in the (hermitage) Kyūkō-an 吸江菴. He also lived in this temple (Myōan-ji) for a while. As people say, this is the main temple of the komusō." "
This may be regarded as the earliest known written reference to the Kyōto Myōan Temple in South Eastern Kyōto (Higashiyama Area) although the name is written with different characters. The famous Sanjūsangen-dō, 三十三間堂, with its 1001 golden Kannon statues is situated just south of the present Shichi-jō Avenue in the Higashiyama area. However, there is general consensus that not long afterwards and until 1871 the Kyoreizan Myōan-ji was rather located a short distance to the North, in the close neighbourhood of the famous Edo Period Dai-butsu, 大仏, "Great Buddha", of the Tendai temple Hōkō-ji, 方広寺, right north of the Toyokuni Shrine. Other close neighbours in this area are the present-day Kyōto National Museum to the South and the Myōhō-in to the East. 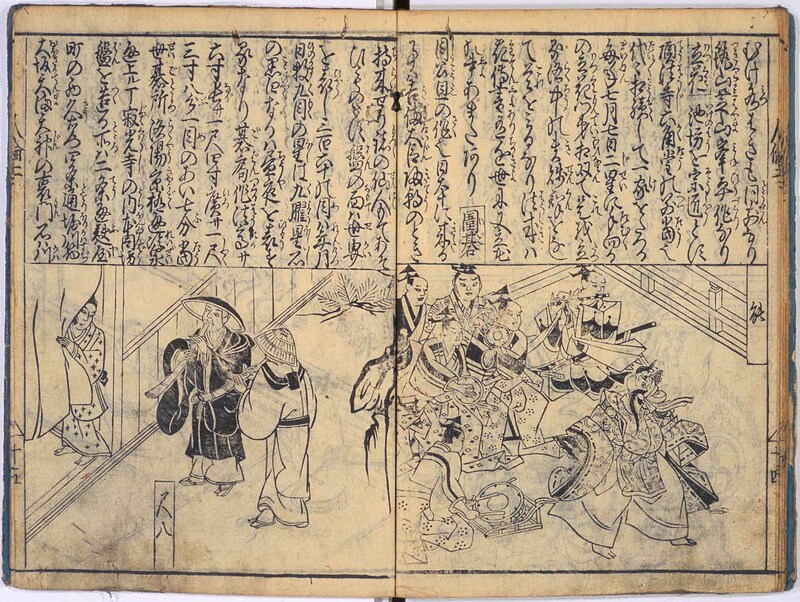 10 volumes by Kurokawa Dōyū, died 1691. Source: Yamaguchi, 2005, p. 82. "An Illustrated Dictionary of Human Matters", or: "An Illustrated Vocabulary of Human Relations"
(practicing ascetic religious mendicancy) at the gate of a house. Their flutes are certainly of the heavy 'kon-jiku', 根竹, or "root-end" type. 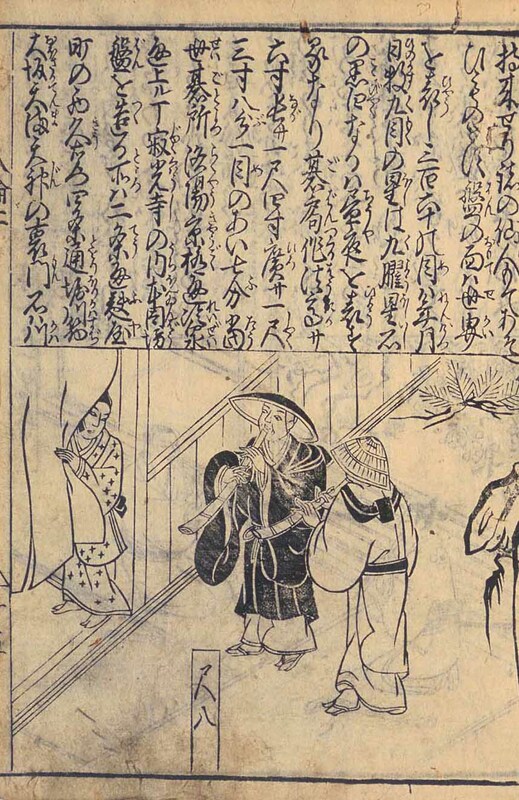 Do note that the figure to the left is clad in the traditional dress of a Buddhist monk whereas the figure on the right is wearing the - apparently representive - outfit of the early 'komusō'. "Because its length is 1 foot 8 inches, it is called shakuhachi. Maybe it expresses the sad voice of the Willow Princess ... ? It originates in an occult, noble sect. The Chinese T'ang Dynasty monk Fuke liked it [a lot]. Today, the Kyomōsō are the descendants [of his]." Trsl. by Torsten Olafsson, 2018.